What sets Dave White apart from other animal portrait artists is his ability to really capture the character of his subjects in acrylics. In his new book, Painting Dog Portraits in Acrylics, he shares with us some of the technique he uses to do just that. 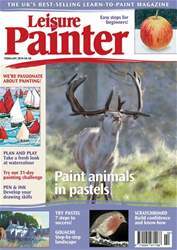 This is not a book for beginners, and it assumes some experience with painting pet portraits, but Dave provides detailed information on composition, colour, choosing reference materials and essential painting techniques, including how to paint the glint in an eye or the shine on a nose. Three step-by-step projects include a short-haired dog, a long-haired dog and a group portrait.